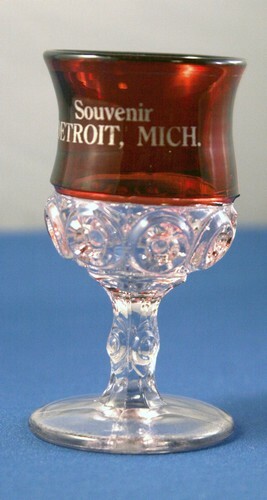 Co-op's Royal wine glass with ruby flashing, Detroit souvenir. Pattern also called Bull's Eye. 4-part mold. The glass is about 4 inches high by 2 inches in diameter across top.